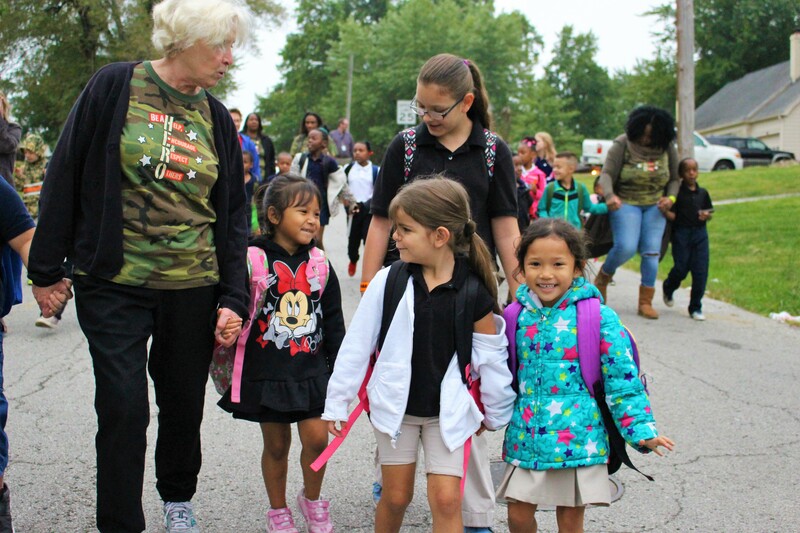 Students are staying active and learning how to be safe pedestrians simply by walking to school and home together! Summer 2018 is quickly winding down and a new school year has finally begun! While the warm temperatures are still steady, that doesn’t stop students from walking and riding their bikes to school everyday! USD 500 and USD 202 students returned back to class on Friday, August 10th. Although it is only the first week of school, many students are walking to and from school with their parents, older siblings, groups of friends, and by themselves. Drivers: Remember to slow down in your neighborhoods and be watchful for students! Four new schools began the onboarding process to develop a Walking School Bus, which is a staff-led group of students that walk home from school together, similar to a school bus route. 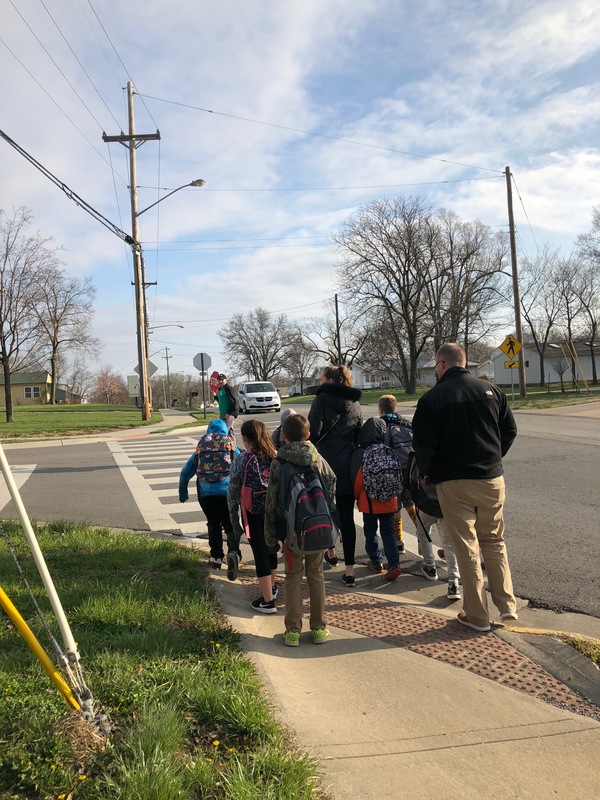 Oak Grove Elementary students (Turner USD 202), are eager to continue their Walking School Bus that began in Spring 2018. Currently, we are engaging as many schools as possible to be involved in the program this semester. Typically, a faculty member serves as the school champion, but we are also seeking volunteer support from neighborhood members and community organizations. Finally, International Walk to School Day is Wednesday October 10th. We are encouraging all schools and families to makes plans to participate and register their event on walktoschoolkc.com. It’s important to not only lead by example, but to set the standard – a standard that reminds us that our first mode of transportation is walking, and that by learning to walk safely together, we’re creating safer communities.